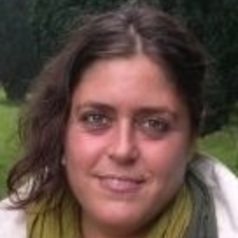 Valentina Gallo is a Senior Lecturer in Epidemiology, joining QMUL in October 2012. Valentina is a neuroepidemiologist with both clinical neurological qualification and epidemiological background. She graduated in Medicine in 2000 at 'la Sapienza' University of Rome, where she also obtained her clinical qualification as Neurologist in 2005. She attended the MSc in Demography and Health at LSHTM in 2003-04. Before joining QMUL, Valentina worked as Research Associate at the School of Public Health, at Imperial College London collaborating closely with Professor Paolo Vineis on a number of projects; and as Clinical Lecturer in Epidemiology at the London School of Hygiene and Tropical Medicine (LSHTM) on the C8 Health Project with Dr Tony Fletcher and the other members of the team on the health effect of pefluorinated compound exposure. Valentina's main fields of interests include neuroepidemiology (she is currently investigating risk factors for Amyotrophic Lateral Sclerosis and Parkinson's disease); environmental, molecular, and social epidemiology. In June 2016 Valentina was awarded a major grant entitled "BRain health and healthy AgeING in retired Rugby players, the BRAIN study" by the Drake Foundation together with Prof Neil Pearce (LSHTM) and Dr Damien McElvenny (IoM).